The US, Russia and France are also developing stealth drones, while Israel has long been a leader in the UAV field. The US has been extremely cautious about selling its higher-end unmanned system, even to NATO member states, opening up an opportunity to China in the export market, said Justin Bronk, an export on such technologies at the Royal United Services Institute for Defense and Security Studies in London. While the CH-7′s ultimate effectiveness remains to be determined, if exported, it would “mark another step-change for China, which has traditionally not offered its cutting-edge technology to foreign customers,” Roggeveen said. Across the Middle East, countries locked out of purchasing US-made drones due to rules over excessive civilian casualties are being wooed by Chinese arms dealers, now the world’s main distributor of armed drones. While the US still holds a technology advantage, China wins on price. The fact it is willing to sell the CH-7 abroad could indicate the technology is less than cutting edge, given China’s desire to guard its technological edge in such areas, said Ron Huisken, a regional security expert at Australian National University. 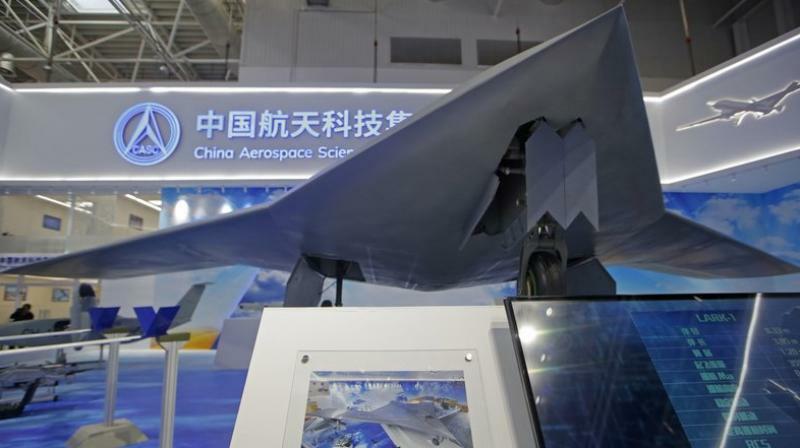 Also appearing again at this year’s Zhuhai show was China’s homebuilt J-20 stealth fighter, which outwardly resembles the Lockheed Martin F-22 Raptor in service with the US military.